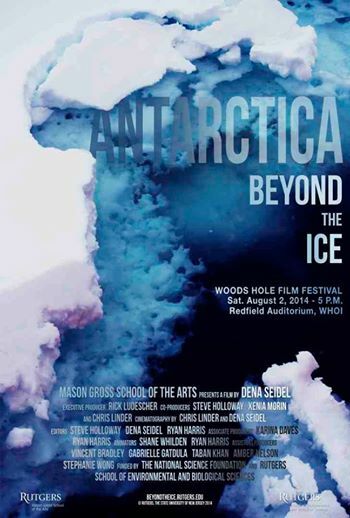 Taking Antarctica from the editing room of the Film Bureau to the screen at the Woods Hole Film Festival was beyond surreal. It’s been well over a year since production on this project first began and to see all the pieces come together for the first time was an unforgettable experience. It felt only fitting to bring Antarctica to Woods Hole, an area of Cape Cod known for its oceanography. 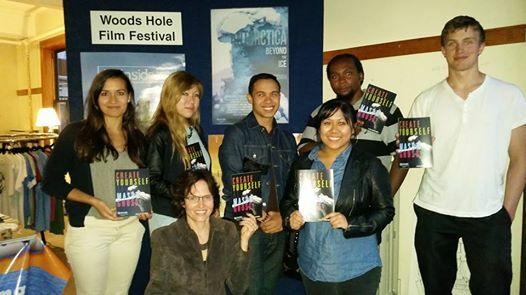 Prior to screening the film, the team participated in a couple presentations about our experience being a part ofAntarctica and bridging science and art together. Seeing all the people interested in the unique filmmaking program we have at Rutgers made me feel proud to have gotten my filmmaking education there. Our screening of Antarctica not only played to a sold out theater, but we also got to be part of an impassioned Q&A panel. It was mind blowing to see how passionate audience members felt about the film, and it was humbling to have people come up to us and say we were doing important work. It truly made being part of the long process of making the film worth it. I can’t wait to see where else we can take Antarctica from here! Antarctica is filled with different types of life forms. Collectively, these life forms play an important role for scientists on the continent. From the steady shift of phytoplankton from the northern part of Antarctica to the southern part, to the rapid decrease of krill in the cold depths of the Antarctic Oceans, to the changes of the feeding habits of the Adelie penguins, each life form story is a pixel to the bigger picture that’s shaping Antarctic landscape. These small changes that the different life forms experience serve as early warning detections for scientists that larger changes are on the horizon. 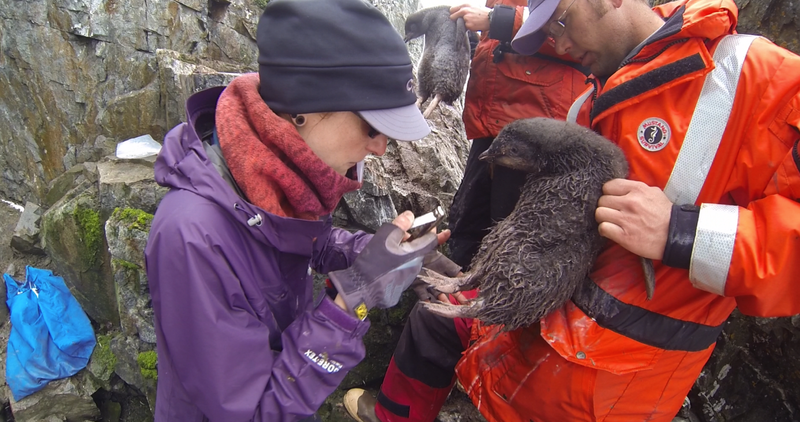 For scientists like Jen, it is their job to detect the many warnings given by animals of the changes occurring. For me, it is interesting how Penguins can give early warning to the scientists about the rapid changes in the climate. Working on this scene has taught me how big and complex this continent is and how wildlife is varied across the landscape. For instance, Adelies can be found in different stages of success or decline depending on their region. My perception of scientists really changed by working on this story. Previously, I assumed these scientists would be collecting data from the safety of the ship – or if they did venture off the ship, it would be for a couple of hours. But Jen and Cameron showed me a more adventurous and dangerous side to scientific research. They lived alone on Avian for 5 days without any support or safety in the vicinity. They had to do this to collect data of all the birds that exist on this remote island rarely visited by humans. I personally would not want to do the work they do – I think it would frightening especially at night to be surrounded by elephant seals on a completely wild island in the middle of nowhere. In conclusion, my perception of scientists had changed. When I use to think about scientists I imagined someone in a lab with a white coat on and test tubes. I now realize that there is a more adventurous and dangerous side to scientific research. This summer, we decided to tackle the climax of the Beyond the Ice story, Charcot Island. The scientists of the LTER had been anticipating this leg of their trip the most because they had been unable to reach it last year. The most important piece of their science lied here, and it was paramount that they were able to include Charcot in their research. The voice of our story, Jen Mannas, emphasizes this importance. A scientist who studies penguins, she led the team that studied Charcot this year along with Hugh Ducklow, the lead scientist of the LTER at Palmer Station. 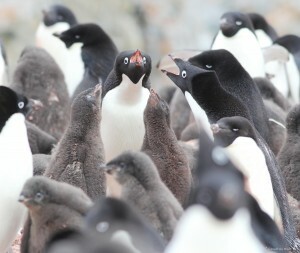 According to Mannas, Charcot is the southernmost Adelie penguin population on the Antarctic Peninsula. Since it hasn?t started to change yet, it?s a good indicator of what the Antarctic Peninsula used to be like. By studying how the Adelie penguins have evolved to live in places like Palmer and Avian Island compared to Charcot, the scientists can see just how much the Western Antarctic Peninsula has changed. All of this research will hopefully culminate into a better understanding of how the global system may change. So far, editing the footage of Jen and her team at Charcot Island has been an insightful experience. We get to see clips from the beginning of the trip to the completion. Hugh Ducklow and the Captain navigate the Gould towards Charcot Island. 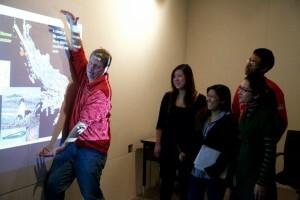 The Captain shows the various maps that help the team head into Charcot in the safest way possible. They face the challenge of leading the ship into a clear way that avoids packs of sea-ice at 3 in the morning. The most vivid footage comes from Jen and her team as they arrive in Charcot and have to climb up the rocky hills of the island with Adelie penguins around them. What makes it even more exciting is the GOPRO footage, and it feels like one is actually there experiencing the whole trip. What we hope by the end of this summer is to put together a sequence that entails the experiences that Jen, Hugh, and the Captain went through and the vivid obstacles they faced. From the miles of pack ice ahead of the Gould to the struggles that penguins face as they climb up the rock face, Charcot Island is a total adventure. In an interview at Columbia University, Hugh Ducklow discusses his experience as leading scientist of the Palmer LTER Project. Behind a calm and collected face, Hugh reveals that he had been working collaboratively with the LTER crew for 18 hours a day for each of the 30 days of the trip while managing his own individual research. While the LTER Project involves significant research at the molecular level, heavy research is emphasized on the Adélie penguins as their population has declined by 80% since 1975. One of the projects Ducklow had managed involved scientists continuing research of the Canyon Hypothesis. The Canyon Hypothesis, which Ducklow had also co-authored, suggests that many groups of Adélie penguins have chosen particular canyons that provide some benefit to the penguins; what benefits specifically, however, is still in question. 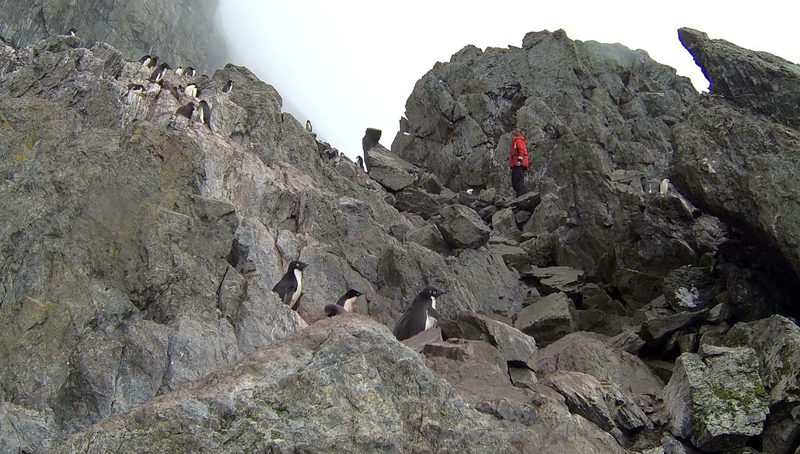 “We have no idea why the penguins are perched on the side of this cliff like they are. But it’s hard for the people to get up there. It’s harder for the people than the penguins to do it, actually,” Ducklow says. 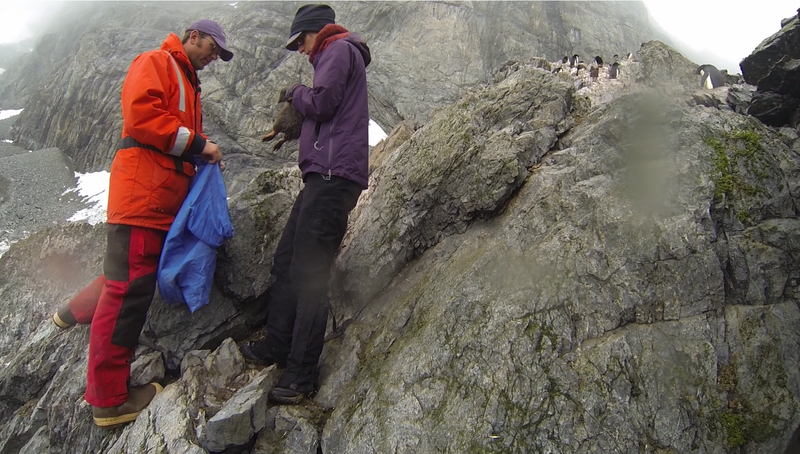 During a trip to Charcot Island, Hugh waited anxiously with several other scientists for members of the crew, called birders, who were sent to collect data from the penguins residing among the cliffs. Collecting this data presented several challenges. The birders had to be sent out on a separate boat, as large glaciers prevented the main ship from going too close to Charcot. Once there, the birders climbed rocky cliffs for miles before finally reaching the penguin colony and taking samples and data of the penguins, one by one. Meanwhile, Ducklow and his crew remained in contact with the birders by radio. The end of the semester approached as we prepared for our first big interview for Beyond the Ice. We would be interviewing physical oceanographer Doug Martinson about the oceans’ role in climate change. For the students, it would be our first shoot for the project, and we were eager for the hands-on experience. We arrived at the Film Bureau at 7:30 A.M., packed our equipment, and departed for Lamont-Doherty Earth Observatory at Columbia University. It was exciting for us to meet real scientists and interview them for the first time as a team. Prepared with a list of questions for Doug Martinson, his answers were seamless and his stories as a young researcher were thrilling. Doug was completely different than we expected him to be. As he sat calmly by his desk, he reminisced about his life as a young researcher at a winter ice camp in the Weddell Sea in 1992. He shared with us how he and his team stayed warm in minus 36 degrees weather and wearing eleven layers of clothes. He also told us about the way people died in such freezing weather at camps in the old days. It reminded us of the risks these scientists take to pursue the research they believe is important for us all. 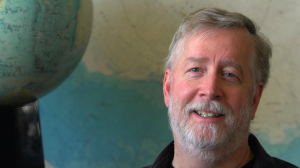 When Doug discussed his research, he gave us a detailed overview about the physics of the ocean and the instruments he uses to measure and observe the ocean. Generally, it is the physical system of the environment that controls the ecology of the oceans. Doug measures the physics, temperature, salinity, currents, and the heat of the continent shelf. 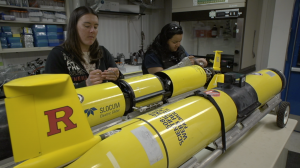 He told us that the default standard instrument that physical oceanographers use is the CTD which measures the salinity and temperature, while the moorings are essentially instruments attached to a long rope that are anchored to the bottom of the ocean. Doug also discusses the role of the Antarctic Circumpolar current, a large pool of warm water that circulates around the continent. Wherever it touches the continent, it melts the ice and raises the sea level. This is just one of the ways the ocean influences the Antarctic climate. The science we learned was dense and heavy stuff, but we couldn’t have learned all of it in a better place than the beautiful Palisades. We couldn’t believe we were given such an opportunity, and we just hope that this shoot was one of just many to come in the future. No one had ever looked more comfortable in someone else’s office than Oscar Schofield. Sitting in front of the camera across from me in worn out jeans and a floral, Hawaiian-print shirt, he seemed more like a weather-beaten sailor on shore-leave than he did a Rutgers professor and one of the world’s premiere oceanographers. However over the course of our interview, Oscar would explain that the two are n ot mutually exclusive. This past winter Oscar embarked on a three month research voyage to a legendary facility known as Palmer Station: a fully-outfitted scientific research laboratory in one of the harshest, most remote locations on the planet – Antarctica. 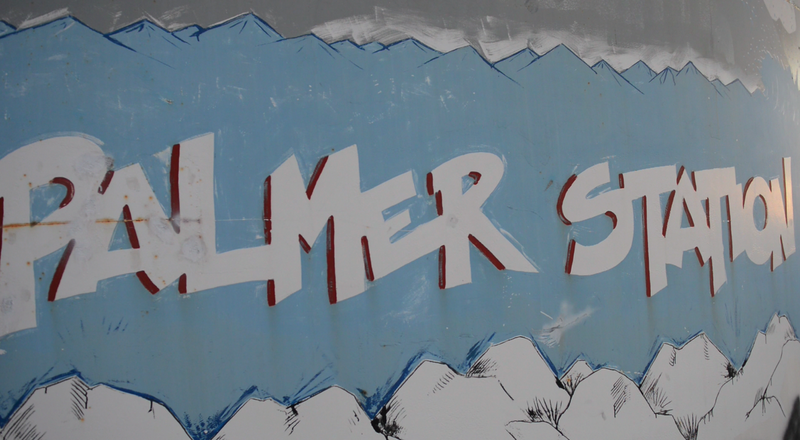 For those working in marine and climate sciences, Palmer Station is the Holy Grail – some will spend their entire careers preparing, just to get out there for a couple months, if that. Oscar casually refers to it “a summer camp for nerds” – it was a trip he had taken many times before, and is likely to take many times again. Yet in those rare moments of free time, Oscar tells us you get to see just how much of a shipboard, sailor-culture lifestyle these scientists down at the station really live. There were people who’d try their hand at whittling and scrimshaw – the intricacy in some of these carvings were incredible — and even some who’d go boating, cross-country skiing, and crevassing through the glaciers. 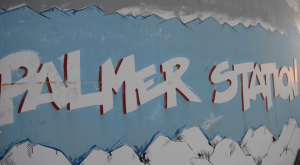 However, through all the work, all the jokes, and all the globally significant climate research taking place in Antarctica’s Palmer Station, being away from his family in New Jersey clearly takes the hardest toll on Oscar. Still they support him, because they know Oscar is going to continue sailing down to the bottom of the Earth to continue his research. No matter what. 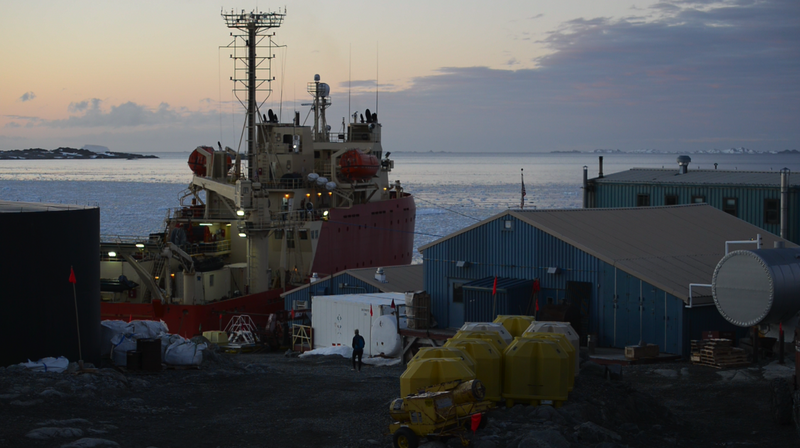 The research for a physical oceanographer in the West Antarctic Peninsula (W.A.P.) is a lot more complicated than just simply acknowledging that sea ice is melting. 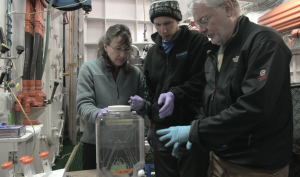 For ocean scientist Sharon Stammerjohn, who – like most of the researchers of the L TER – has been visiting Palmer Station since her graduate studies, the complications of climate change and sea ice have been visible throughout her entire professional lifetime. 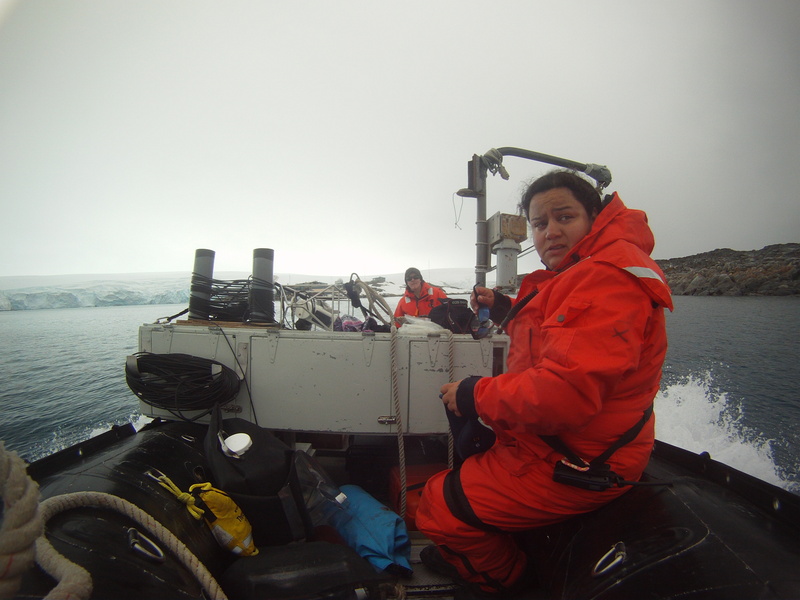 The West Antarctic winter season has grown 90 days shorter since the beginning of the LTER’s recordings, turning up the heat on physical oceanographers like Sharon who stay readily on their toes to collect satellite data of Antarctic ice mass. As a result, Sharon’s macro-view of Antarctica’s shifting geography is now a vital element in understanding how other scientists view climate change. 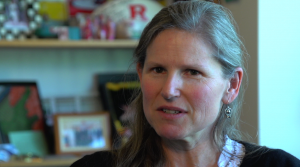 Similar to the interdisciplinary efforts between student filmmakers and Antarctic scientists producing “Beyond the Ice,” Sharon’s collaborative efforts with other LTER researchers epitomizes the kind of teamwork necessary to address climate change and to effectively make a difference. Donna Fraser speaking about balancing her life as a penguin biologist and a mother. Donna examining the penguin before tagging it at Humble Island. A completely different part of the world, white snowy hills and mountains, thousands of penguins and seals, surrounded by miles and miles of sea ice, the Western Antarctic Peninsula is not what we assume it to be. It is a place that has changed drastically every decade due to the warming of the planet. This has altered the lifestyles of the inhabitants of the islands, especially the penguins. 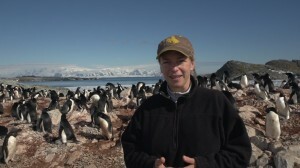 When “Beyond The Ice” was launched, I knew that I wanted to learn about the penguins out there. My honest thought was…are they similar to the ones in Happy Feet 1 and 2? Like happy and healthy Antarctic penguins on white snow that could flap their wings and dance (maybe I’m exaggerated a little bit)! Watching Donna Fraser’s interview and the work she does, I learned about the three types of penguins that are being studied in Palmer Station: the Adelies, the Gentoos, and the Chinstraps. 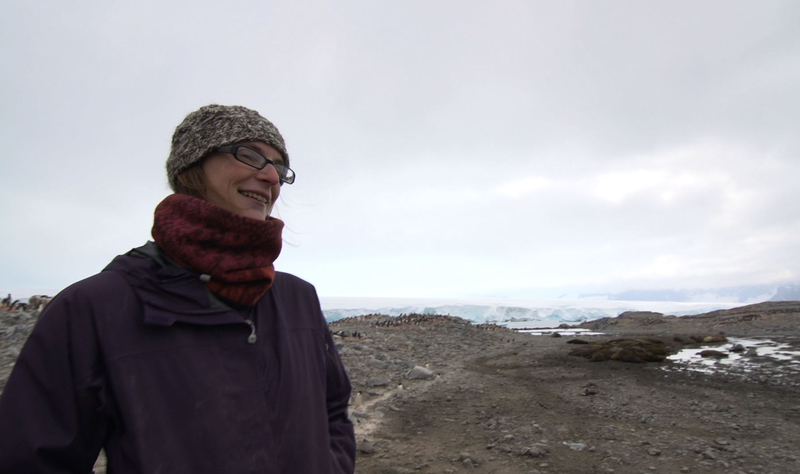 I have the opportunity to put together a short film about Donna and her research with the Adelie penguins of Humble Island. As Donna talked about how their population has reduced by 80-85% in the last ten years, I couldn’t help but feel for these penguins living in an environment with little snow. There are green patches where there never used to be and multiple snowfalls and precipitation, something Adelies are not used to. There are also less silverfish than before, and silverfish used to be common in their main diet. Adelies now mainly eat krill, and silverfish has almost disappeared in their diets. 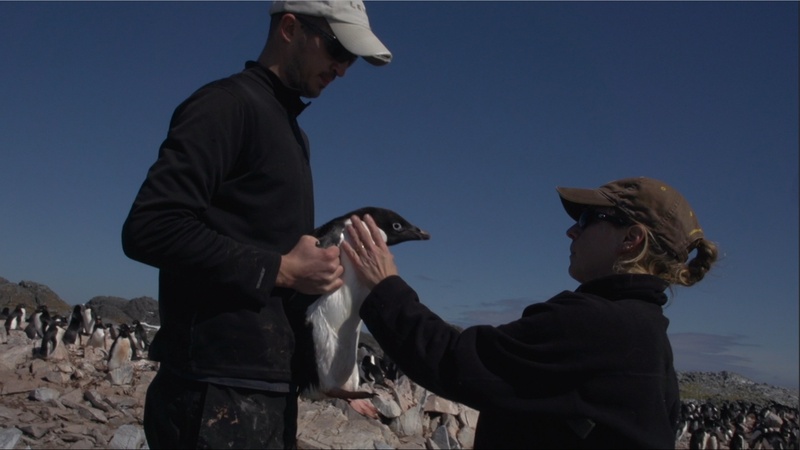 Donna and her team of researchers help place radio tags on penguins so that their flight and forage trip duration is measured. 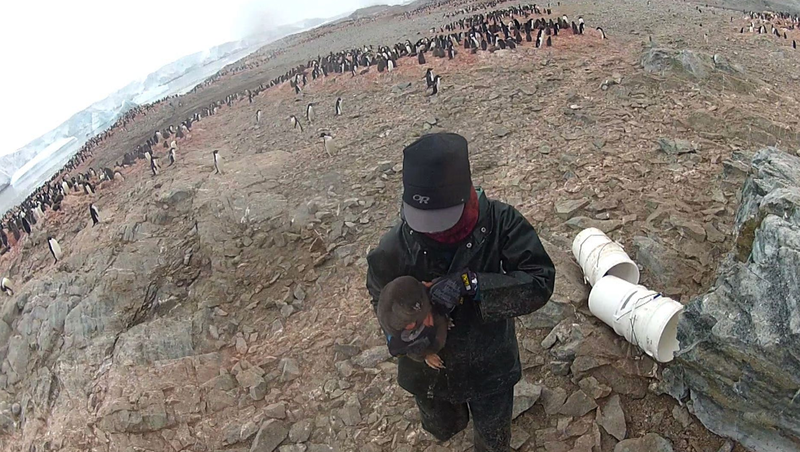 This includes a lot of interaction with the penguins, like measuring their beak sizes, weight, diets, diving depths and applying this information with the rest of the data of the long term ecological project to see what is going on in the ecosystem and how the penguins are being affected. Donna Fraser’s research is very new to me and there’s a lot of science involved, but her work is very inspiring because these scientists have been researching for years. As Donna says, “it’s invaluable to have the long term view of how penguins fit into the system and what we can learn about the system through the penguin’s eyes.” “Beyond The Ice” has given me opportunity to apply what we have learned in our documentary filmmaking classes and use it to craft together a story. I’m very grateful that we are allowed to be creative and hope to discover a great deal about the aspects of editing and filmmaking. 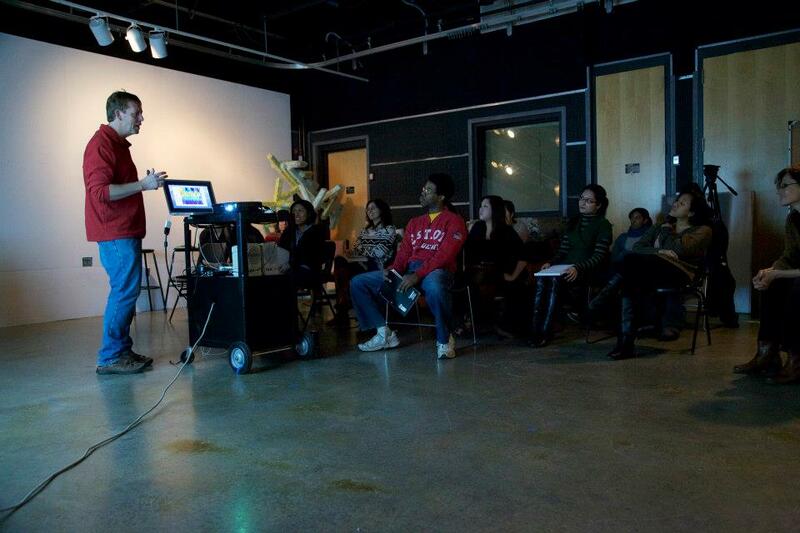 It’s very exciting to work with real stories in the Rutgers Film Bureau this semester!